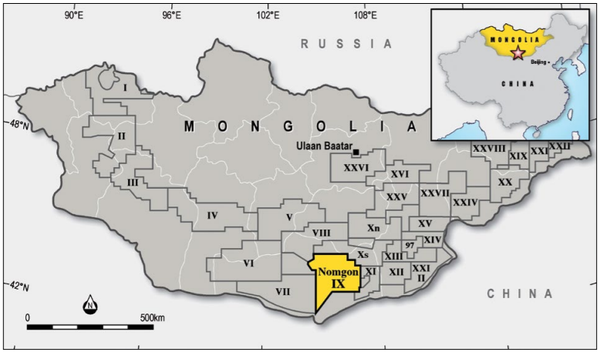 Shares in Elixir Petroleum Ltd (ASX:EXR) were up more than 10% at one stage on Monday after the company released information regarding a potentially giant gas resource within its wholly owned Nomgon IX Coal Bed Methane (CBM) Production Sharing Contract (PSC), located in the South Gobi Desert in Mongolia. Importantly, the report independently validates the world-class potential of the Nomgon IX CBM, leaving Elixir’s management very much buoyed by the size of the prize. Elixir’s Managing Director, Dougal Ferguson, highlighted the fact that the company should be in a position to capture further important data in the first half of 2019, saying: “This is a fabulous result and the culmination of a lot of work uncovering data from various sources and collating that information into a meaningful piece of work. “The company is quickly building its technical database and hence its understanding of this extremely large CBM PSC. More specifically, they relate to the estimated quantities of petroleum that may be potentially recovered by the application of a future development targeting undiscovered accumulations. These estimates have both an associated risk of discovery and a risk of development. Further exploration, appraisal and evaluation are required to determine the existence of a significant quantity of potentially movable hydrocarbons. Prospective resource assessments in this release were estimated using probabilistic methods in accordance with 2018 SPE-PRMS standards. The data used to compile the independent prospective resource report includes gravity and magnetic data, detailed field mapping information and interpretation of relevant core hole logging from within the PSC. The report was compiled and interpreted by Elixir and was reinterpreted and validated independently by ERCE on behalf of Golden Horde, which Elixir intends to acquire following receipt of shareholder approval on November 28. ERCE has determined prospective areas for CBM production by combining elements from surface geology and gravity maps. High definition and low definition gravity maps were provided by Elixir, and the prospective areas were defined where there are gravity lows and where there are no outcrops of Permian and older sediments. These input ranges were primarily sourced from core holes within the Tavan Tolgoi area — one of the world’s largest coal deposits. It is located within the PSC, but excluded from the PSC itself. The range also captures typical recovery factors seen in Australian CBM developments. As a backdrop, the Nomgon IX CBM PSC has a 10-year exploration period and covers an area of around 30,000 square kilometres. Its close proximity to the Chinese border would be a distinct advantage if progressed to commercial production, being ideally placed for future gas sales into the extensive Northern China gas transmission and distribution network. 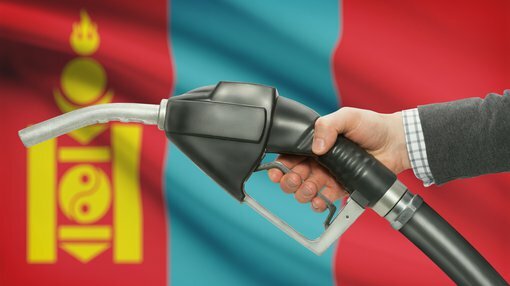 In addition to Chinese gas demand, Mongolia currently has no gas production and there is a strong political desire to replace high emission coal power and heat generation with low-emission, clean burning, gas-fired generation. 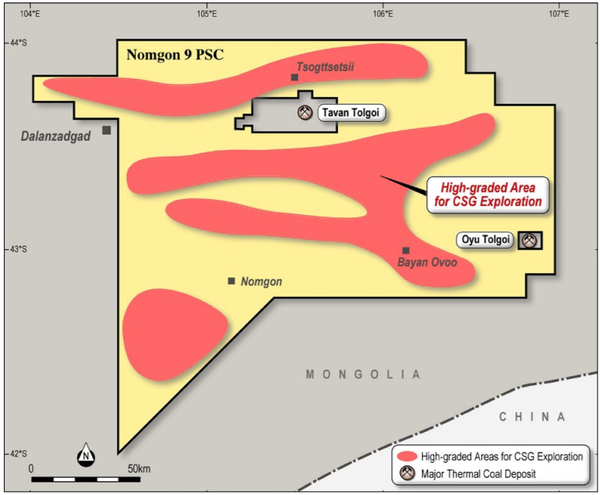 With the potential to find and develop multiple TCFs of gas from CBM in the PSC area, it is feasible that both the Mongolian and Chinese markets can be supplied with Mongolian CBM. Following completion of the environmental impact assessment (EIA), the exploration program will commence with 2D seismic acquisition, currently scheduled for May 2019. The objective of the seismic program is to identify locations for the initial CBM drilling campaign later in 2019.